Microscopes are used by a broad range of businesses, and they also represent an excellent learning tool, which is why many students who aim at a career in a related field should get one for home use. In case you have just purchased a microscope, you should learn some basic rules about how to care for it properly. When you must move your microscope from one place to another, make sure that you don’t grab it by the part on which the samples must be placed or its eyepiece. That is the surest way to cause misalignments, and calibrating it again will be a pain. Instead, handle it with care, and hold it by the metal arm and its base when you must move it. 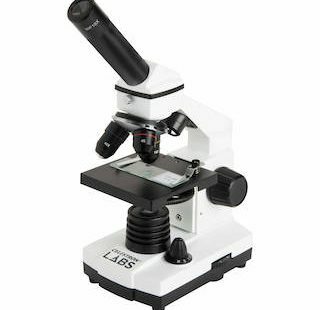 Cleaning the lenses of a microscope can be a real hassle, which is why it is highly recommended to have your microscope covered when not in use. That will prevent debris and dust from getting on the lenses and will minimize the cleaning work. A microscope is an investment, and you must store it away in appropriate conditions so that you can continue to use it for a long time. You can learn about different models from this website, but, when it comes to storage, the same rules apply. Have a place for storing your microscope that is dry and has proper ventilation. Make sure that the microscope is not in an area where corrosive fumes and substances can take in touch with its delicate mechanisms. There are several things you must bear in mind when cleaning a microscope. For instance, if you use immersion oil to improve the clarity of what you can see through the lenses, it is essential that you wipe this substance off the moment you finish your experiment. While doing so, make sure not to scratch the lenses, and do not use solvents that can deteriorate the surface of the lenses. In case you’re not using immersion oil, you will still need to clean your microscope and especially its lenses. Use a small aspirator to remove all the dust. When cleaning the lenses, use special paper and distilled water. Make sure to apply circulatory moves to make all the grime go away. Under no circumstances should you use anything abrasive to clean the lenses. Microscopes are pretty delicate devices, and adjusting them without referring to the manufacturer’s manual may lead to unwanted outcomes. Do not force any knobs or parts, and avoid over-tightening them when making adjustments. Microscopes can get damaged without you noticing such things. You should check all the parts, including the plug and the cord. Also, an annual maintenance task should include taking apart your microscope and lubricating the moving parts so that it remains in good functioning order over the years.